Over the next few days/weeks we’ll be posting pictures and stories from our Winter 2010 Vacation. This is the first installment about the first stop on our adventure – Seoul. 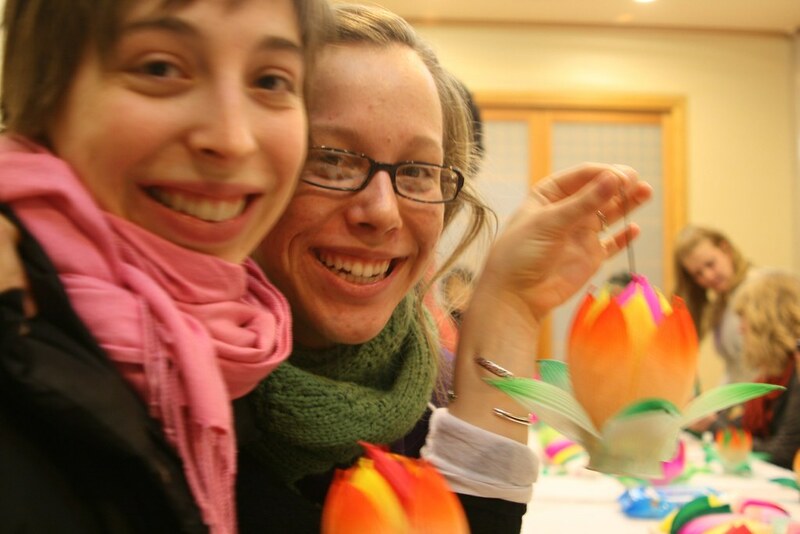 Kate’s sister, Molly, came to visit us in Korea in late December. She stayed for about 10 days and we had a great time with her. It was wonderful to actually get to share this place with someone from home. 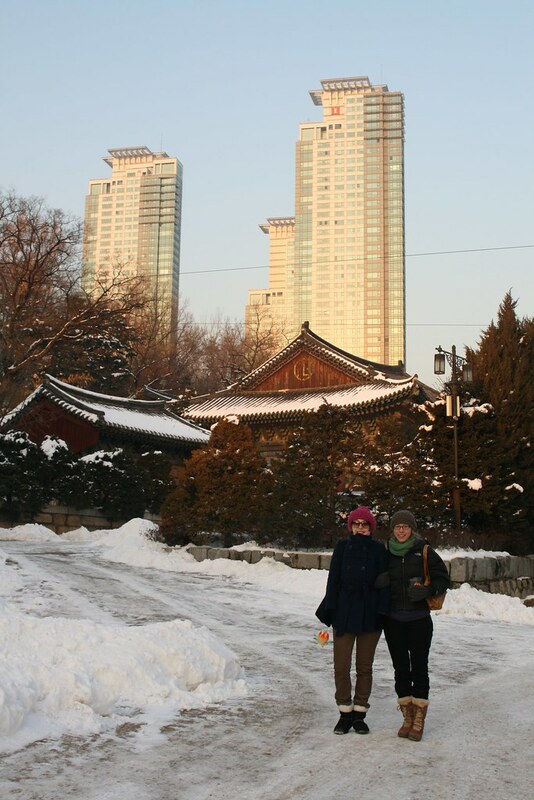 The last 4 days that she was here we were off work and we all went to Seoul. 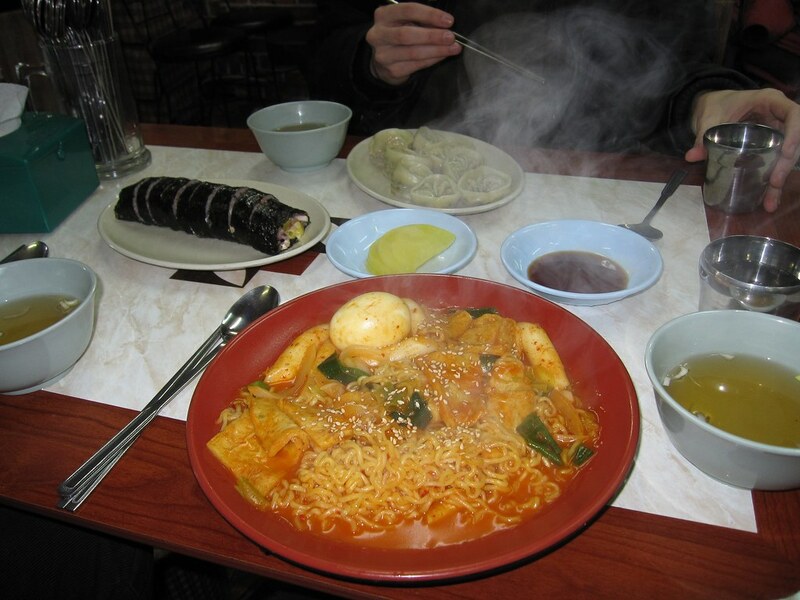 The trip was mainly a whirlwind tour of the city’s hot spots. 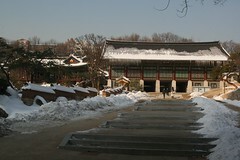 Here are some pictures from Seoul. There are more in the gallery to the left. As always – click for a larger image. 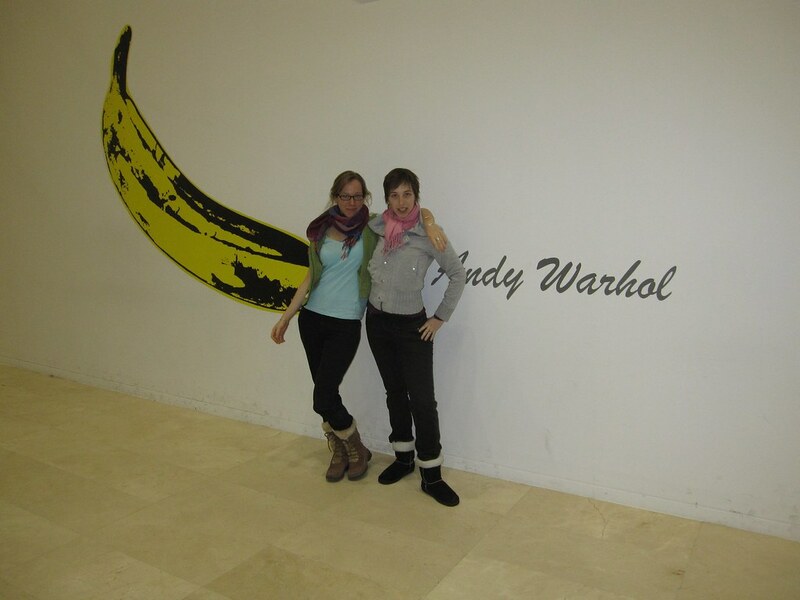 There was an Andy Warhol Portraits exhibit at the Seoul Museum of Art, so naturally we checked it out. 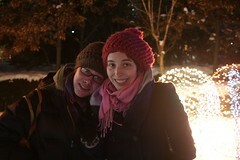 It was a coooold night but we ventured out. The exhibit was fantastic! 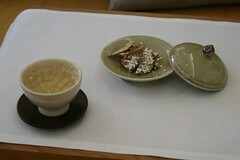 A really wide range of his work and a lot of historical information and artifacts about his life. The English translations of the commentary were also really entertaining. We got a little lost walking back to the subway which wasn’t good because it was about 1 degree outside…but we made it! 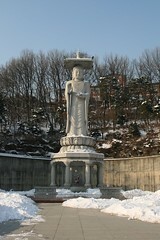 The next day we went to Bongeun-sa Temple near the Coex Mall. 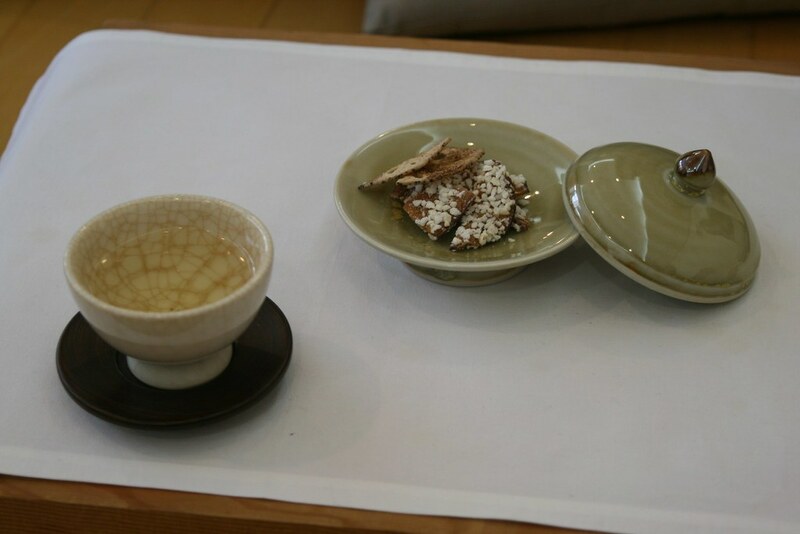 Every Thursday they have a “Temple Life” program where foreigners can get a tour of the temple, learn some basic meditation practices, participate in the Tea Ceremony and make lotus flowers. 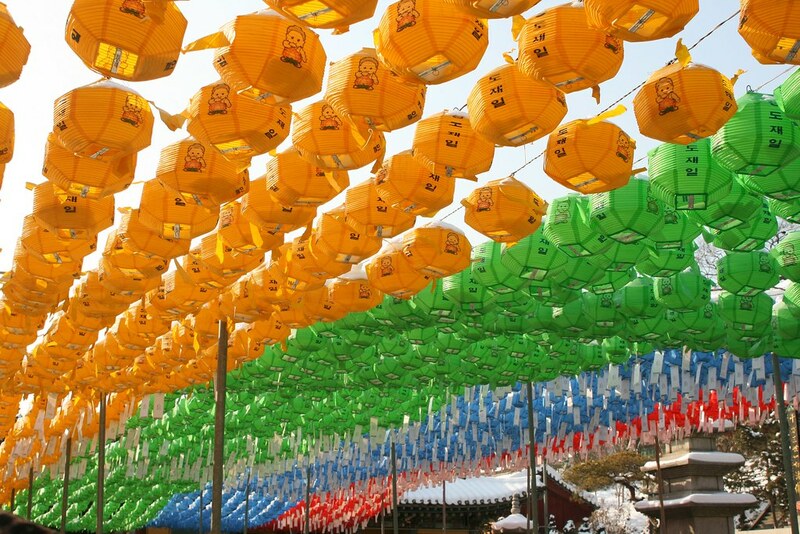 It was about 2 hours and a really great way to experience Korean Buddhism up close. We had hoped to do an overnight Temple Stay the weekend before, but Kate was sick and it didn’t seem like a good idea. This was a nice way to still get at least some of the experience. 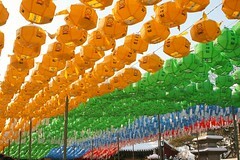 Lanterns are hung at the temples for a period of time before and after the four major Buddhist holidays. I think these were up for the New Year. 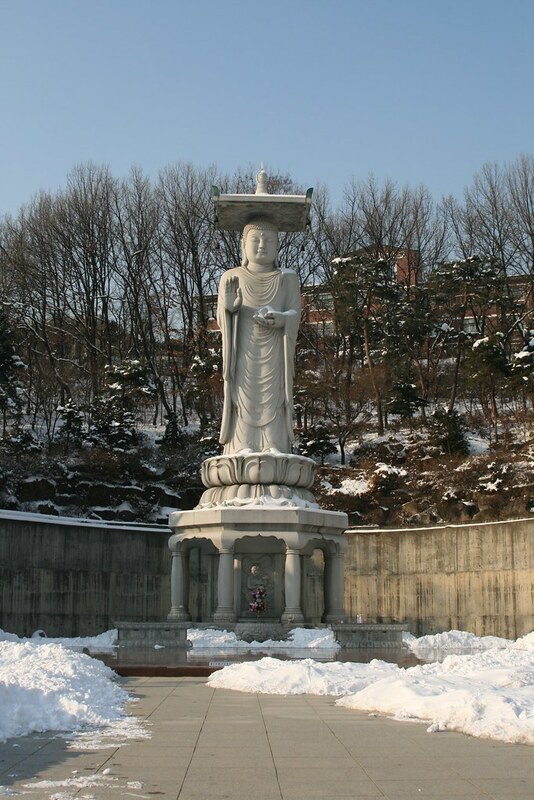 This is one of the tallest Buddha Statues in Korea. The picture doesn’t really do it justice but it was huge! 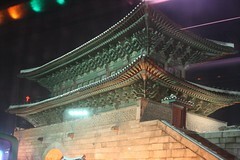 The Temple is right in the middle of the city – providing an interesting contrast between the skyscrapers and apartment buildings all around it. 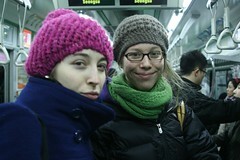 Kate and Molly on the Subway. 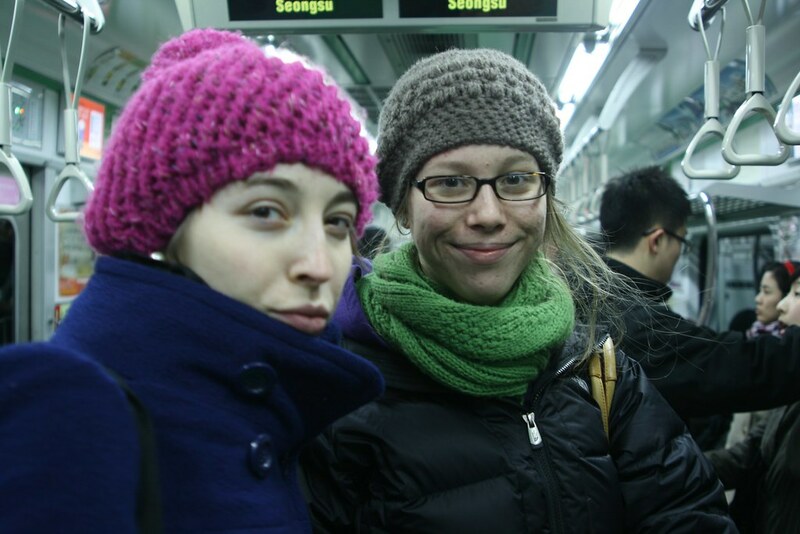 Seoul has one of the best subways I’ve ever been on. It’s quiet, clean, and fast… amazing! The last day we took a bus tour around the city. 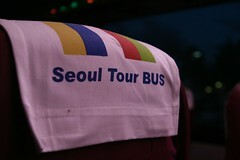 This was the easiest and cheapest way to see all the highlights of the city. It was a fun way to spend the day. 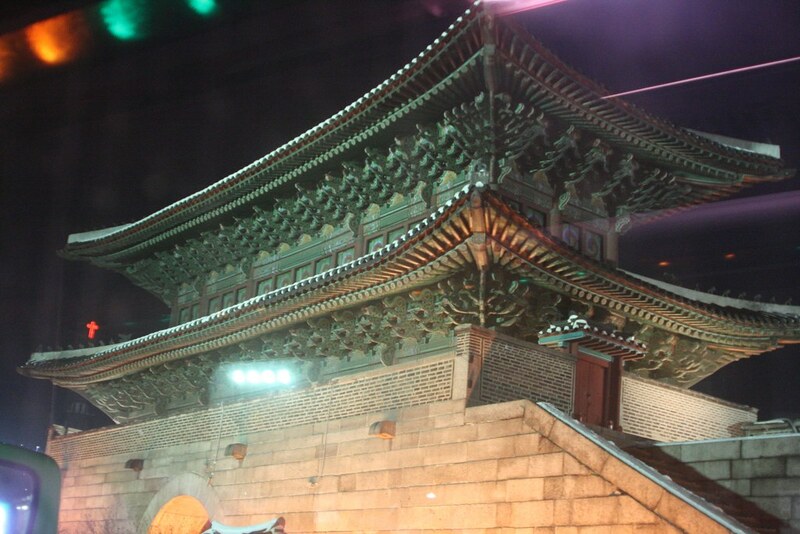 I think this is Namdaemoon, or Dongdaemoon … From the bus. We also went to see Avatar in 3D one afternoon, and ate some Mexican food in Itaewon. On Saturday we took Molly to the airport for her early morning flight, then we waited there for our 9:30pm flight. Stuck in the airport for 13 hours… not too fun. 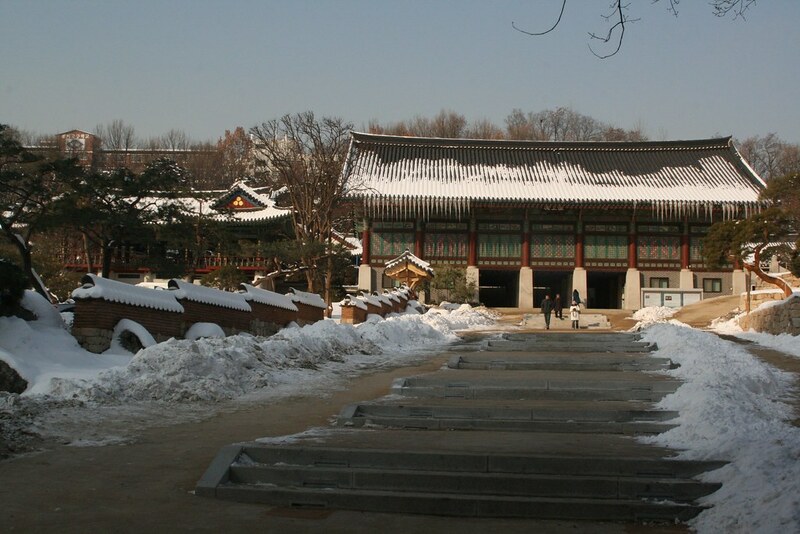 Incheon is kind of the most amazing airport in the world though, so it was not a problem… more on that in the next post… Manila! We are home from the Philippines – have been for about a week now, but we’re just getting around to editing the pictures/videos and getting some posts up to the site. We’re weeding out the not so great pictures and will be uploading them as soon as we can. We’ve been talking a lot about what this year and the coming years will bring and the only thing that we know is that nothing is certain. 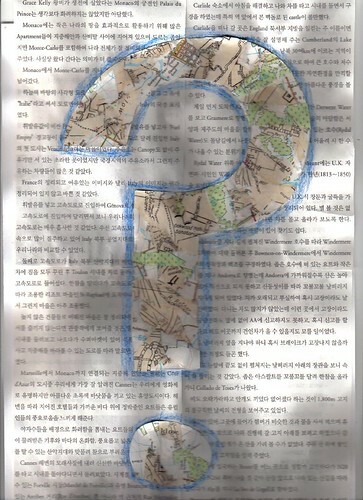 Where will we live? What will we be doing? Questions like these are constantly in our conversations and thoughts now-a-days. It’s a strange feeling to have such an unusually clean slate on which to re-start. It’s simultaneously terrifying and exciting! – but every day we move closer it shifts more to the later. It’s going to be great! So, I know it’s a little late, but we’re welcoming in 2010 and holding on tight, it’s going to be a pretty crazy (and wonderful) ride!